Home » Germany Immigration Visa » How to get Germany work visa? Seeking Germany work visa? This article gives you the outline of Germany work visa requirements. Germany is making huge attempts to attract overseas skilled employees to work in Germany. It is still facing the scarcity of highly skilled workers in the field of Information Technology (IT). Hence, most of the overseas skilled workers prefer to migrate to Germany on a Germany work visa. Germany offers excellent career and employment opportunities for abroad citizens to fill the vacant skilled positions in the field of IT industry. Germany Work visa allows overseas individuals to reside and work in Germany. Germany IT industry plays a lead role in contributing to the Europe’s economy. Individuals who would like to migrate to Germany in for better employment opportunity should acquire a residence permit and work permit in Germany. The following are the some of the essential requirements an individual should meet in order to qualify as for a German work visa and to work in Germany. Applicants should not have any criminal records. Applicants need to provide required documents for the successful visa approval. The Germany embassy takes two to ten working days to process a short stay visa. Applicants’ visas for longer stay or to start profitable employment processing time may take some months. 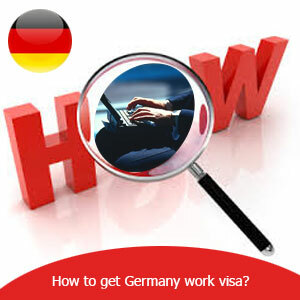 However, mostly the processing time for Germany work visa depends on the applicants’ profile.